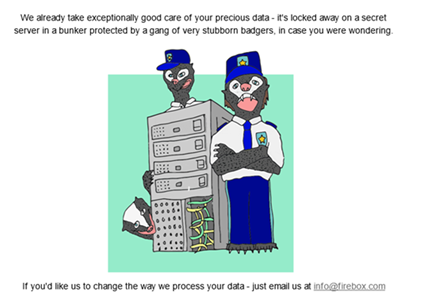 FireBox told us our data was being protected by a gang of very stubborn badgers! The Creative Pool offered us free pizza, and a meme! 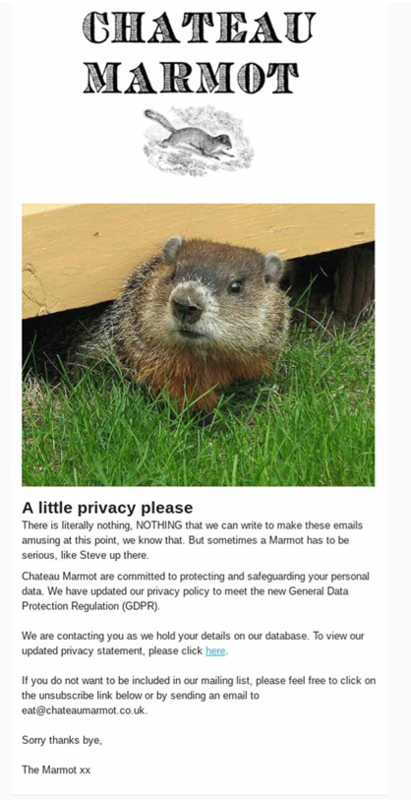 Chateau Marmot gave us an adorable tongue in cheek update from Steve the marmot. 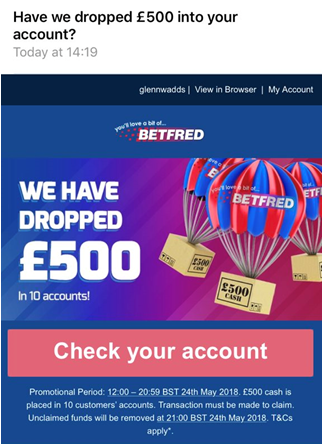 BETFRED tricked us into think we might of won £500…turns out we hadn’t. Cruel, but amazing for those lucky ten customers! The OZ Game Shop offered us some alternatives to reading the ‘4 most boring pages on [their] entire website’. We’re thankful to now know about ‘Put Pillow On your Fridge Day’. 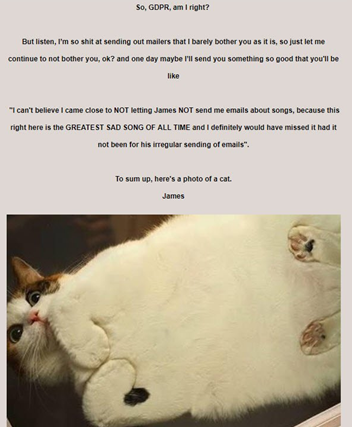 …and one of my personal favourites was from singer James Vincent McMorrow, who treated us to a picture of his cat and an incredibly frank email. 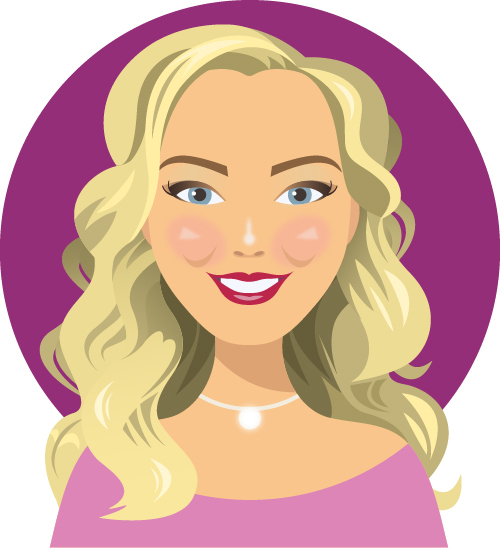 No matter how many times you hear ‘stay in touch’ or ‘we care about your privacy’, nothing beats brands (and people) being honest and upfront about what they’re really asking you to do. 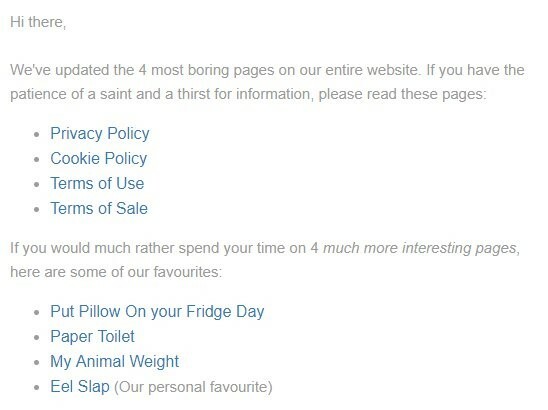 Anyone with their head screwed on correctly knows the serious nature of GDPR, so who can blame us for wanting a little humour in these morbid emails? 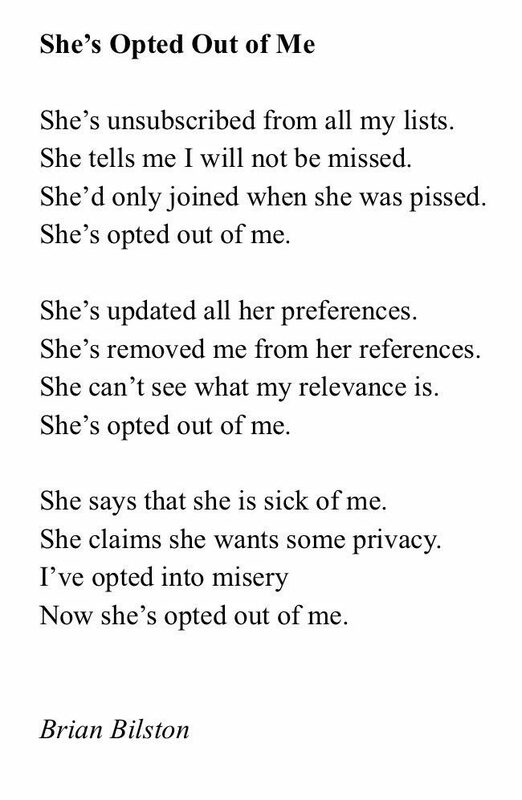 And on that note, we’ll leave you with a GDPR poem (yes, you heard correctly) courtesy of Brian Bilston.